It is almost indescribable the excitement of waking up to a significant increase in the ranking of your website on Google. But what of when you experience a massive drop in Google ranking? So many reasons can account for the sudden drop in your ranking, but there is no telling how much damage the drop in rankings can cause to your brands regarding sales, visibility and domain authority. If you notice a decline of 10-20 spots on the rank results for a multiple of keywords, it could be that your website has attracted a penalty from Google. An algorithmic penalty happens when Google has a couple of updates that affect the practice of SEO. In this case, you may not have erred. However, since Google performs the updates without publicly stating it, you want always to keep tabs on ranking changes. The way around this problem is to keep up with the updates and better your optimization. Over time, you will regain your position on SERP. Just like the algorithmic penalties, the manual Google penalties can have a significant drop in your rankings. The only difference with this factor is that a Google employee intentionally penalized your site, which means you are at fault. Check with your Google Webmaster account, and you will find notifications on the areas that manual actions have been taken against your site. Any issues detected by Googlebot, for example, unnatural links, broken links, duplicate content, among others, should get your attention and get you working out solutions. Have you thought about your competitors outranking you? Any laxity in SEO on your end could be what your competitors were waiting on to outrank you. The good thing is that the drop here is slight, and other sites will maintain their positions as before. If it has been long since you conducted competitor analysis, then you need to get on it. Keep a close eye on what they are up to, and why they might be doing better than you are. Consider content tactics, audience interactions, feedback management, website structures, among others. Remember to keep your competitor research consistent, so you can look out for any loopholes to capitalize on, or tips to mirror from them. If your backlink sources no longer find your website link-worthy, you will start losing links gradually. The problem with losing links is that it may result in a slight drop, but on other times, the drop may be significant. Backlinks are there to act as a recommendation that your website deserves a spot on the first page of Google. Analyze your site to determine whether you are losing links, and if Google webmaster removed the links, then you should be worried. This intervention by the webmaster tool is a red flag indicating that the links were unnatural and that you deserve a drop in your ranking position. Overall, if you are losing links, there is no going back to ask for them. The solution is to re-strategize on a better way to earn high-quality and legit links. You also want to work on your website so that it remains link-worthy. Failure to audit your website in a long time will result in a mass accumulation of on-page errors. The errors include slow pages, duplicate content, page errors, low-quality content, broken and missing links, among others. The problem with this is that it will cost you both your position on Google rankings and your traffic flow. On-page errors reduce the user experience, and because Google values user experience, you may experience a considerable drop in your rank position, both as an automatic and manual action by Google. To identify if this could be the reason, audit your website by running Google Analytics or Google Search Console, among other tools. The analysis reports should point you on the critical areas in need of attention. 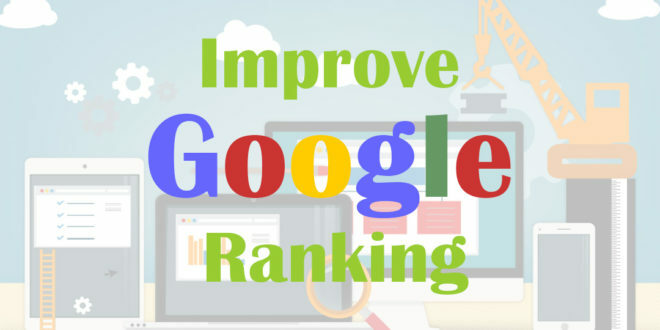 Fix as many errors as you can, but do not expect overnight improvements on your ranking. Remember you have to work on regaining your traffic flow by gaining back their trust in your brand. Considering that you may have poor quality web hosting or one that does not have the right kind of resources, then your server can give up on you. If your server stops responding to queries, then your site can experience temporary downtime, especially when you exceed a particular level of bandwidth. Ensure that you have quality hosting services, those that do not keep your site down for a long while. It helps to Google and visits your website every once in a while to determine whether it is up and running or not. You cannot be stuck on the frustration of dropping your rank position on Google, which is why you must act on it immediately. Once you identify the problem, rectify it, they remain consistent with the best practices of SEO. Also, consider tracking your SERP by going through this guide on https://serpbook.com/blog/rank-website/.